Henry is the CSO and Co-Founder of Field Agent and currently leads the Business Development and International expansion efforts. Henry worked for nearly 20 years at Procter & Gamble, including six years as P&G’s Wal-Mart Asia Team Leader in Hong Kong. He has been a part of multiple start-ups, including the Northstar Partnering Group, CORE4 Research and most recently Field Agent. Henry has a B.S. degree in Computer Science/Business from Furman University. Since 1999 Henry has helped to start or support several Multiple Bottom Line businesses operating in Asia. He has served as an advisor to the JoyCorps board since 2013 and as its board chair since 2016. 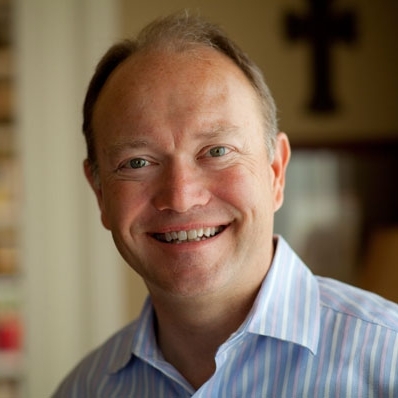 John has extensive experience with both global holistic work having served as a director for Mission: Hope (formerly Rivers of the World) and as President and CEO of WorldServe from 2010-2014. Both organizations work with indigenous leaders to foster sustainable, holistic transformation among marginalized communities in Asia and South America. Prior to his work with these organizations, John served five communities throughout the U.S. during a pastoral career spanning nearly 40 years. John holds a B.A. (Trinity Christian College), an M.Div. (Calvin Theological Seminary), and a D.Min. (Westminster Seminary). Mark serves as Senior Vice President of Human Resources at J.B. Hunt Transport Services, Inc., where he has worked for nearly 30 years. He has served as a member of the Board of Directors for Arkansas Blue Cross Blue Shield for 12 years and also serves on the board of Global Restoration Trading Co., a business-as-mission dedicated to sustainability. Mark holds a Bachelor's Degree in Natural Science from the University of Arkansas. He has served as an advisor to the JoyCorps board since 2013 and as a board member since 2016.